The words spoken by an agent are very important for the sake of a brand. The tone is similarly important. What about the pronunciation and accent? It is also an important factor in achieving customer satisfaction. In the initial days of outsourcing call centers to India, there was skepticism among the US based clients. They had a notion that Indian English speakers could never replace the US English speakers. They felt the accent and pronunciation would be all wrong. 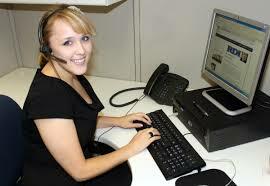 But the Indian call center industry has taken the challenge and come out trumps. Today, the US clients hardly have any reasons to complain in terms of the accent or pronunciation used by the Indian agents. All the agents are purified by a methodical training program. When a customer calls a contact center based in India for a product query or regarding a problem, the caller has to go through a lot of obstacles. There might be problems with the receiver (so hearing might be a problem) and there might be problem with the connection (whereby the caller listens to a lot of noise). When you add to this the flawed pronunciation or heavy accent of the agent, it leads to a worst case scenario. Even though the agent has all the answers, but the customer hardly gets the point. It creates a big gap in communication. In a survey conducted in the US, it was revealed that people using heavy accent or accent from the rural regions are more prone to be incriminated then people using proper accent. Similarly, in case of jobs the Asians, Mexicans or African accented speakers have lower employability ratings than their counterparts using standard American accent. So, when there is a flaw in pronunciation or accent an agent is always on the backseat. Accent of the agent causes annoyance for the caller and this will never sit comfortable with the First Call Resolution or Upsell/Cross sales metrics. Agents with a good accent are looked upon as more educated and thus dependable by the customers. The callers are more than likely to stick around and listen to the good accent agents then those with a heavy accent. Experiments have proven that Indian accent or heavy accent in English speaking creates a negative bias in the minds of the customers. They will not be convinced, far from it they will be angrier than before on the brand. So, having flaws in accent or pronunciation does not auger well with the outsourced call centers to India.